Da Puny is arguably the most famous restaurant in Portofino. Reservations in advance are essential as the restaurant is almost always booked out (they are closed on Thursdays apparently). We first ate here in 2009 and absolutely loved it. 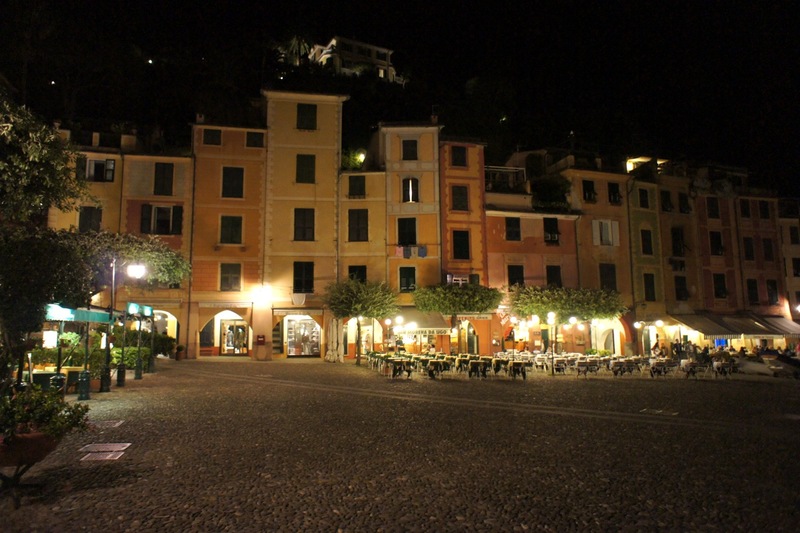 Given its location at the heart of Portofino and facing the port, it could have been mistaken for another tourist jaunt, but the both times we ate here, the majority of guests were Italian. 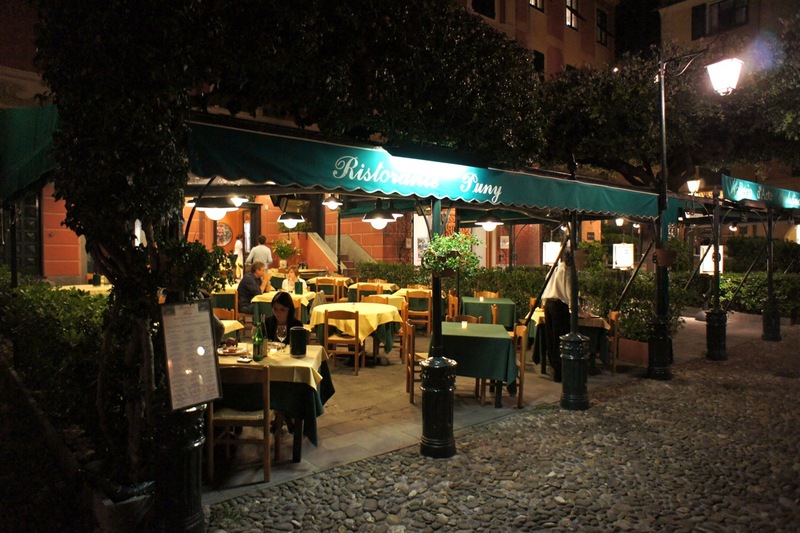 One of the problem this restaurant faces, according to the friendly waiter, was that many Italians from the bigger cities such as Milan make reservations to come here for dinner, especially on a Friday night. However, the traffic out of these cities into the countryside on a weekend is really bad and hence many of them don't make it for dinner. This was the case when we were there this time. Almost half of the tables were reserved but unoccupied, and we had a front row seat watching many disappointed people getting turned away at the entrance for not having a reservation even though many tables were empty. This was the first time we would encounter a fancy looking mineral water bottle. 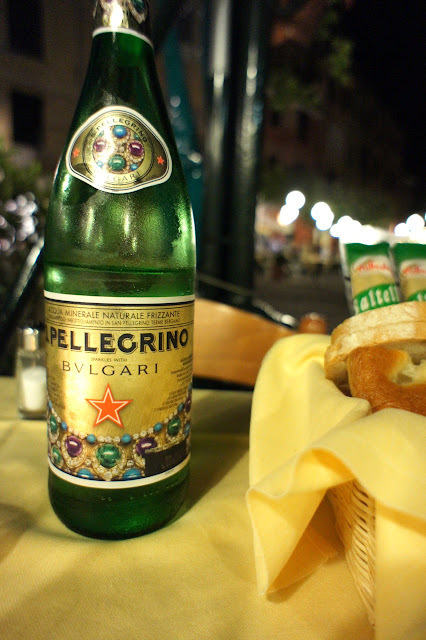 It was the San Pellegrino sparkling water sponsored by Bvlgari (we were to come across it many more times during our trip). Apparently it is simply some branding exercise and the water (to our great relief) did not cost any more than it would if it were not to be branded. Last year the sponsoring brand was Missoni. We started dinner with the house favourite: the pappardelle with pesto sauce. It didn't appear to be like anything exciting but it was fantastic. 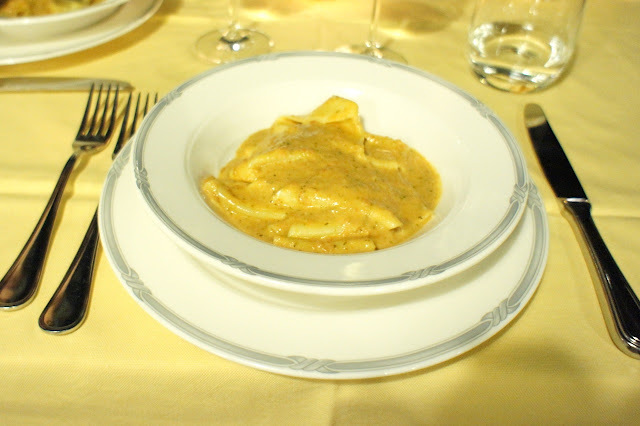 It did not taste like pesto to which we were accustomed but was creamy and full of flavour. This was accompanied by a bottle of Vermentino (a white wine varietal in Italy which in this case was locally harvested) which was pleasant enough with the seafood but was not much to write home about. 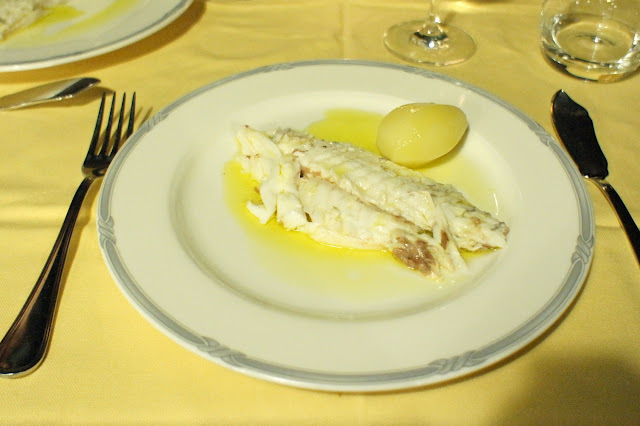 Then the piece de resistance: the salt-baked sea-bream. 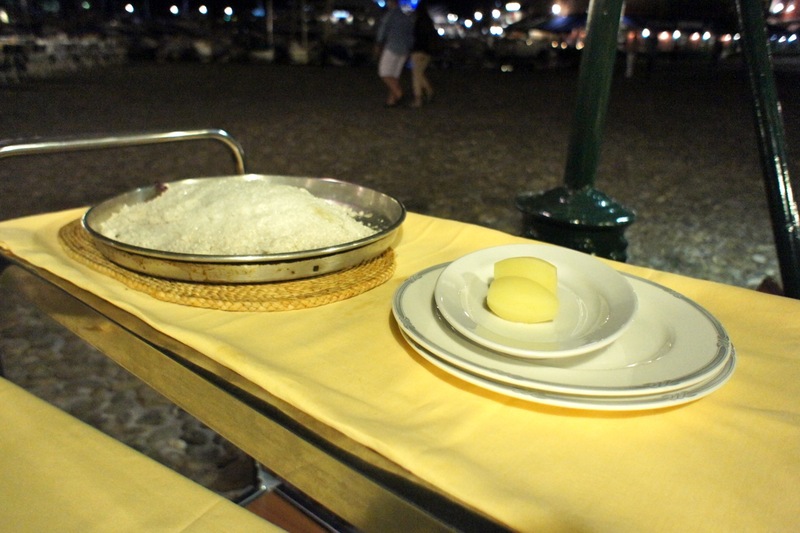 This is still the best salt-baked fish we have ever tasted. We reckon it is due to the quality of the sea-salt and extra virgin olive oil used in preparing this dish, and the freshness of the fish. 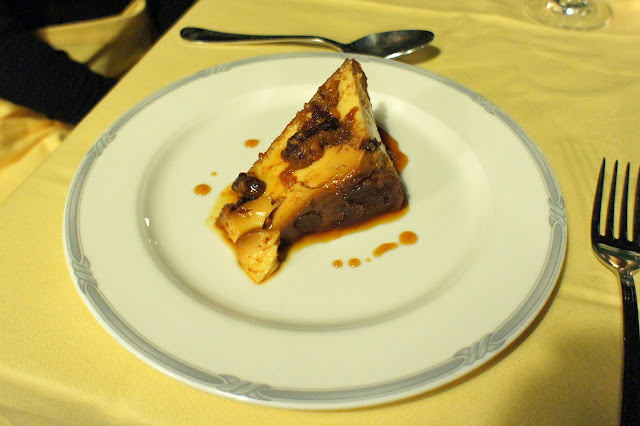 Dessert was a humble creme caramel which was nonetheless very enjoyable. It brought to an end a simple yet very satisfying dinner. 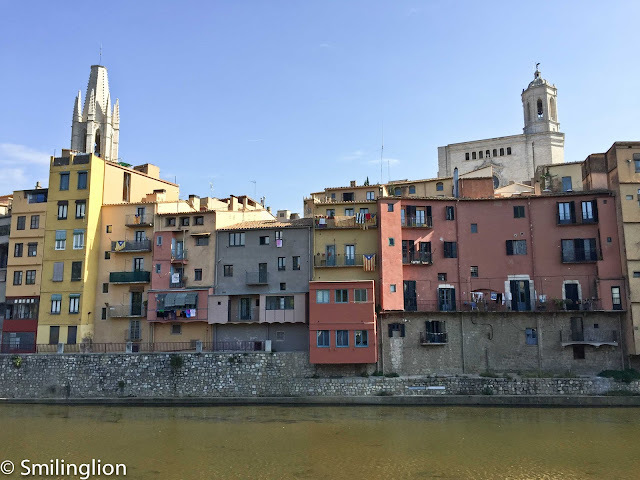 Final Thoughts: A must-visit if in the Liguria region. The service levels were also very high and the staff was very friendly and helpful throughout. how much did this meal for two cost including drinks?